Border Concepts, Inc. (BCI), a top supplier of lawn and garden products to independent garden centers and landscape wholesale commercial yards throughout the United States, has expanded its distribution facility network by opening a new distribution center at 319-329 Enterprise Way in CenterPoint Commerce & Trade Park West, Pittston Township, Pennsylvania. The company is leasing 38,563 square feet in a multi-tenant flex building developed and owned by Mericle Commercial Real Estate Services and expects to create eight new jobs. BCI is a manufacturer, importer, and distributor within the lawn and garden industry. The company was founded in Charlotte, North Carolina in 1990 by Neil Miller and Tony Ferguson as a steel landscape edging systems manufacturer. Since then, the company has expanded its product lines to meet the needs of garden centers, growers, contractors, landscape supply yards, and other independent retailers. The company operates a manufacturing plant in Lexington, North Carolina and distribution centers in Lexington and in Kent, Washington. Mericle Vice President Bill Jones coordinated the lease transaction along with real estate brokers Dan Walsh of Cushman and Wakefield’s Scranton office and Patrick McGrath and Zach McLaren of the firm’s Charlotte, North Carolina office. 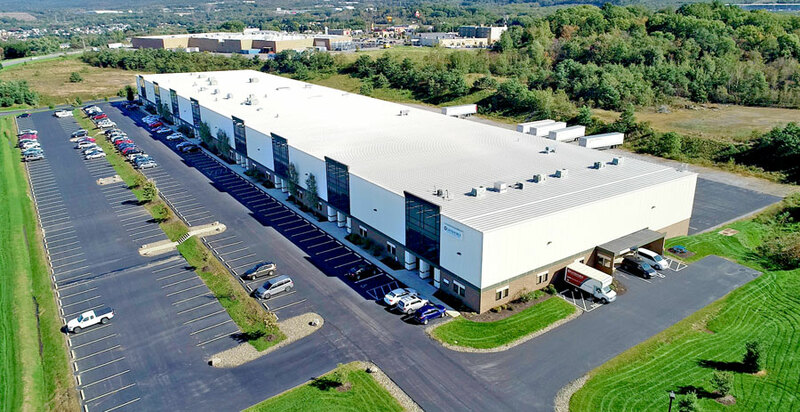 “We congratulate BCI on its decision to move to Northeastern Pennsylvania and look forward to partnering with the company as it continues to grow in our area,” Jones said. In 1995, BCI launched its first decorative steel and wrought iron products, including hanging baskets, window baskets, hook, trellises, arbors, and plant stands—all in a wide range of prices. Ten years later, BCI introduced a line of quality pottery, which led to the company’s acquisition of the International Pottery Alliance. Soon thereafter, BCI began importing pottery worldwide from manufacturers in Germany, Italy, Malaysia, China, Thailand, and Vietnam. For more information, visit borderconcepts.com. Mericle Commercial Real Estate Services developed CenterPoint Commerce & Trade Park starting in 2005. The park is home to 37 buildings totaling 9.9 million square feet. More than 50 companies are located in the park and together they employ more than 5,500 people. For more information, visit mericle.com.